Another fun month of fishing in November was had by all. And so far December has started out the same. 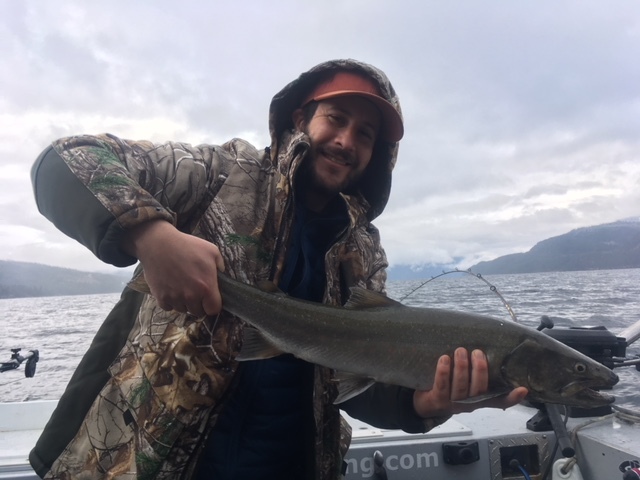 The fishing has been consistent for Rainbows and we are also hooking into a few Bull Trout each day to compliment the catch. We’ve been having fun with some of our corporate groups as they have been joining us for their year end festivities. It always adds to the entertainment when you have a large group of people and can place some friendly wagers on the day. 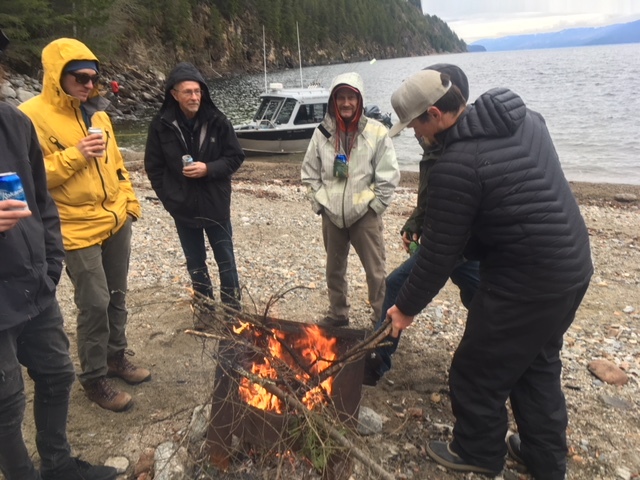 Our last big group enjoyed a great day on the water, with both boats catching a lot of fish and even got to enjoy a bonfire on the beach during our quick shore lunch. Not bad for winter! 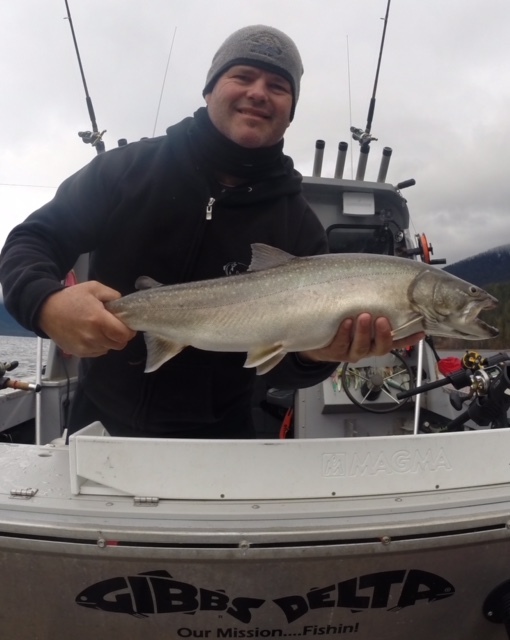 Lately our days have been pretty consistent, with 10 – 15 fish coming to the boat. 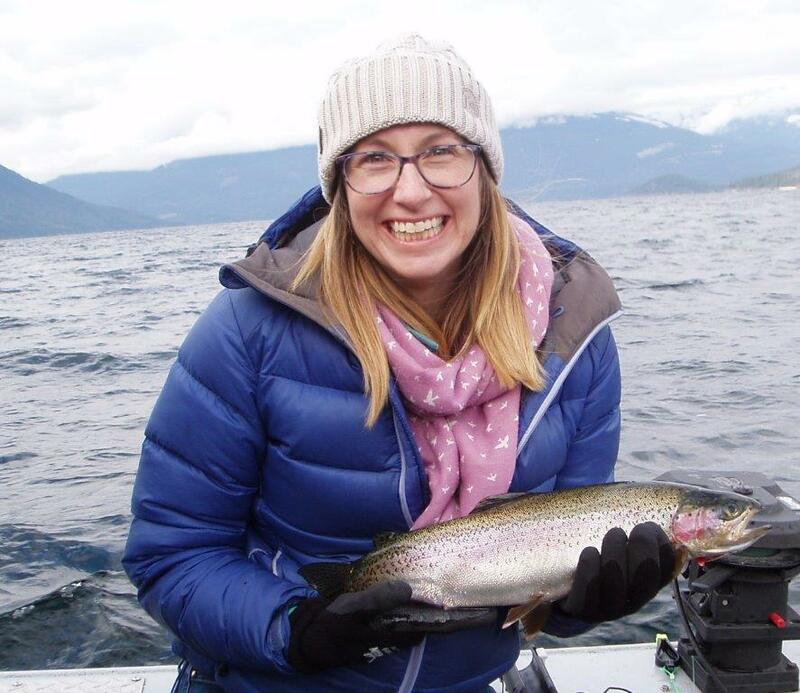 Rainbows between 2 – 4 Lbs and Bull Trout up to 8 Lbs have been fairly steady. The weather has been great and we look forward to more fun trips throughout December. Note: There’s still openings for your holiday fishing trip, as well as gift certificates available for the Christmas season. We managed a couple days on the river in November and they produced fish each time. Mostly just fishing from the shore, as we didn’t feel like running around in an open boat in the cooler weather. Still getting the odd fish on the fly rod, but lately have been having better luck with the float rods and spinning rods. The usual Columbia River Rainbows between 1 – 3 Lbs have been caught. Hoping to get out a few times still this winter on the mild days, as this is still a great time to fish the river. On the lake, its been a mix of flies, plugs, spoons. My favourite bucktails have been the black/white or grey/wht colors. Lucky numbers have been #210, 215, 216, & 228. Also on the surface for Rainbows, we have been running my favorite Gibbs/Delta spoons. Gold/fire stripe, or gold/fire wing have been working great. And on the riggers for Bull Trout, we have been mostly using my favorite Gibbs/Delta flasher in the lemon lime color or STS color. Paired up with my green spatter back hoochies, they have been a deadly combo. Best depths as of late have been: 81′, 101′, and 121′. Water temp is hanging in the mid 40 degrees, so the fish should stay active throughout the month. Although as it cools down, remember to adjust your speed accordingly. Stay tuned for more winter reports.